The waves of change are rolling in high and fast in the world of professional big wave surfing. 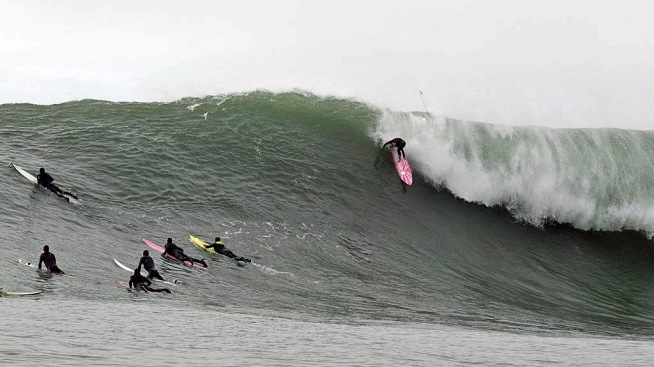 After months of community debate and behind the scenes struggles, the World Surfing League has reportedly decided to give equal top prize money to men and women surfers in its events, which includes the Bay Area’s Mavericks competition. The Committee for Equality in Women’s Surfing (CEWS), intensified its fight after a plan was proposed in July offering $25,000 for the top male surfer and $15,000 for the female winner. CEWS members and supporters, including elite surfers, railed at the notion the prizes were set by the quality of the competition and marketability. After the WSL contacted CEWS leaders with the concession for equality, some of them told NBC Bay Area about their excitement and satisfaction.